Home / Your Pet Questions / Pet Questions / Could Someone Recommend A Book Or Video On Drug Detection Dog Training? There are several, but, you will not be able to do it out of a book or video, I promise you. Look at leerburg.com see if he has any. Again, what you are trying to do has legal implications and you need actual drugs. I have been doing it for 27 years, I know. If you try to short circuit it, you will get in trouble. This is not a game. 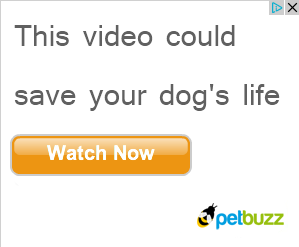 Yeah, I assumed that you would need DRUGS for the dog to learn to detect. That can present a real problem….for most people anyway. Here’s some backwards advice for you. I’ve taught tracking for 20+ years. I’ve also been involved in a lot of scent work. Another poster on this site, Greekman has also been involved in scent work, perhaps he’ll jump in also. There are a LOT of issues with drug dogs. Primary one is getting authorized by various governmental organizations to even get started. Need drugs to teach drug detection. Most of the people I’ve seen involved in this are people who have been involved in other scent work such as tracking, Schutzhund, search and rescue or other such things. They then get involved with training dogs for various law enforcement groups for search and rescue, or protection/search work. After all of that, they get involved in what you’re looking for. http://www.dogwise.com and then search for books on tracking or schutzhund. That will give you some books in that area. You can then take it from there. By the way, a knowledgeable scent person is going to need a year, or more to get a dog up to the level of where they need to be. If you’re talking advanced work, you’re talking a couple of years.